Hail, Caesar!, the latest comedy from Joel and Ethan Coen (Fargo; O Brother, Where Art Thou?) offers a tongue-in-cheek bow to Hollywood circa 1951 through a series of escapades that take place during a day in the life of Eddie Mannix, production head and unofficial "fixer" for a major studio. It should surprise no one that the Coens have conjured a wildly stylized and madly screwball satire of this scenario. 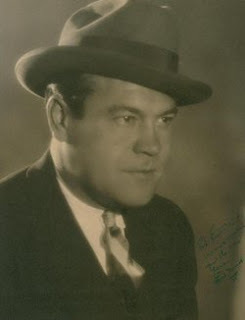 Those familiar with Hollywood history know that there once really was an Eddie Mannix and that he was a studio exec/"fixer" at MGM (not the Coen's "Capitol Pictures"), the most powerful of all studios, for several decades. As General Manager and head of production, he was a right hand to studio chief, Louis B. Mayer, and it wasn't until 1958, after Mayer's ouster and death, that Mannix left MGM; he'd been in the picture business for 42 years by then. 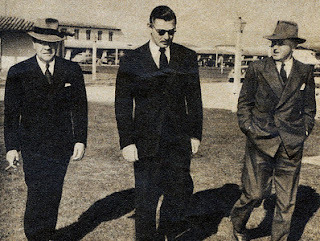 Mannix had earlier been a mob-friendly strong-arm for Palisades Amusement Park in New Jersey. He moved on and eventually served under Nick Schenck of Loew's, Inc., the man behind the merger that created Metro-Goldwyn-Mayer. It was Schenck who sent Mannix to California in 1924 as a comptroller. 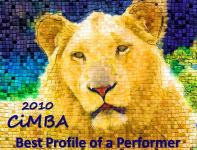 Once there he quickly advanced and became a key player in L.B. 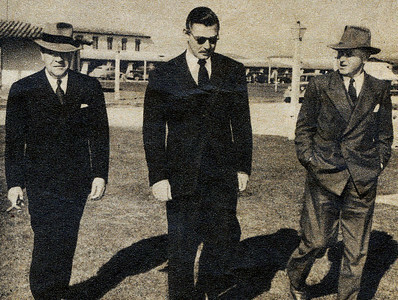 Mayer's innermost circle as General Manager and, in the late '40s, head of production. Throughout his years with the studio, he (along with head of publicity, Howard Strickling), also functioned as a "fixer" whose job it was to clean up after and sometimes cover up the misbehavior of MGM's most valuable stars. It is said that among the numberless scandals Mannix had a hand in "fixing" were those involving top names like Clark Gable, Greta Garbo, Cary Grant, Jean Harlow, Judy Garland, Mickey Rooney and Gary Cooper. In his private life Mannix, like so many Hollywood VIPs of the era, had a reputation as a dedicated gambler and womanizer. 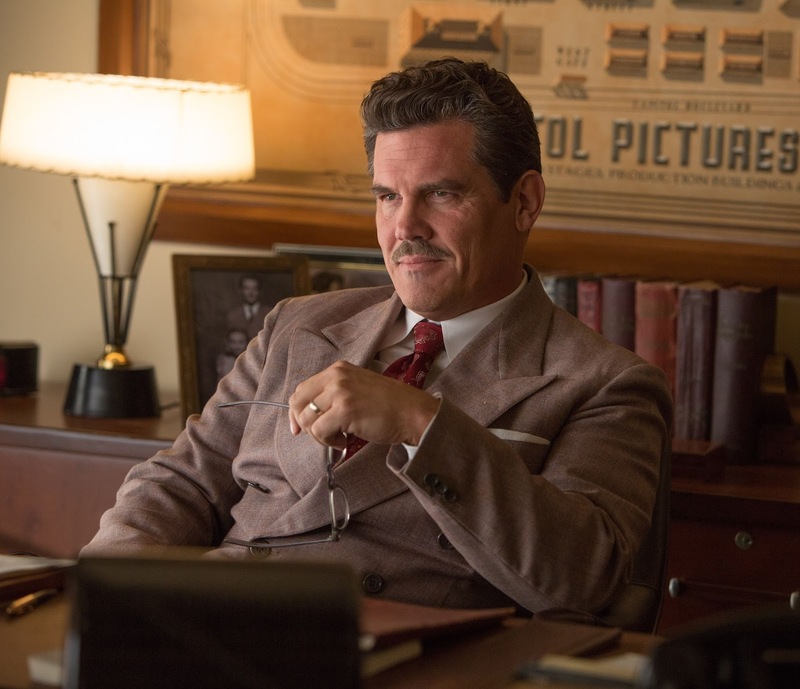 That's a quick peek into the life of the real Eddie Mannix but Hail, Caesar! is no biopic. The Coen's fantastical tour of tinseltown follows a devoted family man/practicing Catholic version of Mannix (Josh Brolin) as he careens from one scandal-in-the-making to another while trying to hold his studio together and decide whether or not to leave the movie business altogether and take a high-paying but staid exec job in the "civilian" sector with Lockheed. A collection of problematic oddballs contribute to Mannix's tortuous agenda: an oversexed "aquamusical" star (Scarlett Johansson) is unmarried and pregnant; the charismatic, hard-drinking leading man (George Clooney) on the studio's in-production biblical epic has mysteriously disappeared; a popular singing cowboy (Alden Ehrenreich) is badly miscast and struggling in the film adaptation of a sophisticated Broadway play; the emigre director (Ralph Fiennes) tasked with directing the cowboy is at his wits' end; an acting/dancing star (Channing Tatum) harbors a bizarre secret; and rival twin sister gossip columnists (Tilda Swinton) threaten to reveal an unsavory old rumor in print. 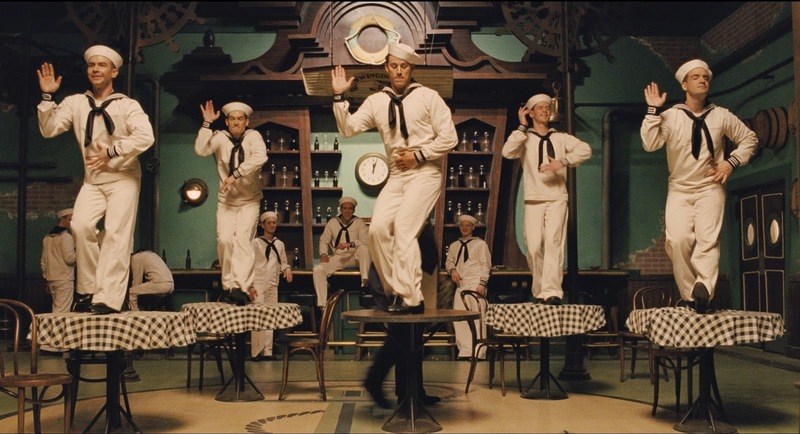 This assortment of deliciously cast characters, along with Jess Gonchor's production design and Roger Deakins's cinematography, provide the sizzle and gloss for a very entertaining if once-in-a-while unwieldy sendup. According to 13-time Oscar nominee Deakins, the Coen brothers decided to ignore the relentless digital revolution and shoot Hail, Caesar! on film because they felt the movie's content demanded it. Deakins had great fun filming footage of the Coen's fictional studio on the Warner Bros. back lot where, with the shooting area carefully blocked out and the aisles between stages cleared, he said, "it was pretty much as it would've been" back in the day. Gonchor, production designer on six Coen films and Oscar-nominated for True Grit (2010), decided while doing his research to employ set construction methods used 60 years ago to recreate the Hollywood of that time. As a result, the majority of the film's sets were built by artisans and craftsmen of the old school: plasterers, scenic painters, sculptors and mold-makers. 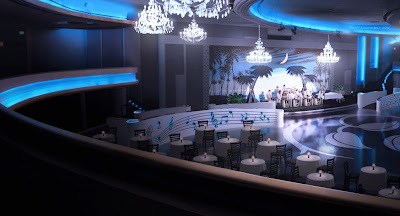 Relying on these traditional techniques and turning to the MGM archives for ideas, Gonchor crafted several sets of scrupulous period detail including the "Capitol Pictures" studio, a sleek mid-century beach house and a fashionable Hollywood nightclub. Though only Eddie Mannix of those depicted in Hail, Caesar! bears the name of someone who actually lived and worked in early-'50s Hollywood, most of the supporting characters were based on or were composites of some of the town's famed denizens: Baird Whitlock, played by George Clooney, is reminiscent of Kirk Douglas; Burt Gurney (Channing Tatum) is a nod to Gene Kelly; Laurence Laurentz (Ralph Fiennes) echoes another Laurence - Sir Olivier; DeeAnna Moran, portrayed by Scarlett Johansson, spoofs Esther Williams but the solution to her scandalous situation was taken from Loretta Young's real life; and Hobie Doyle (Alden Ehrenreich) could be any B-movie singing cowboy from Gene Autry to Roy Rogers. 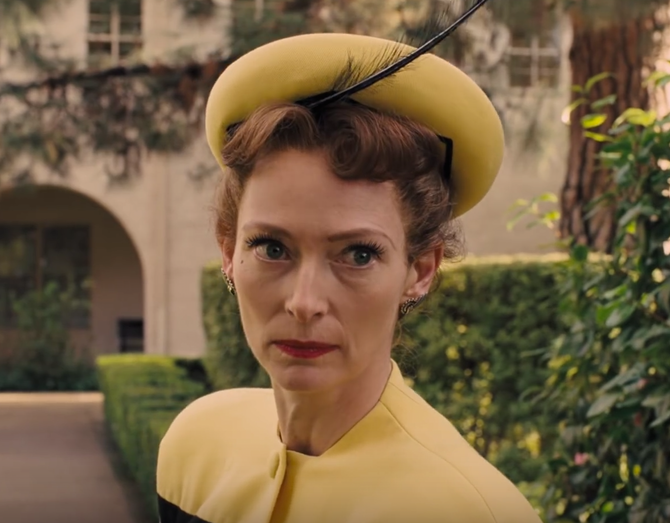 The Coen brothers' sly re-working of Hollywood legends and myths is clever enough, but it's their outlandish twist on communists in the movie industry that transforms Hollywood history to mind-bending surrealism. I am fascinated now by the work in recreating the era you describe. However, I am one often disappointed by the Coens. They seem to have more snark than affection in any of their work that critics call "homage". While I never ignore that snark in myself, I feel like they are hitting me over the head with it. The Coens are hit-and-miss for me, Paddy. This one I mostly liked. The plot gets clumsy toward the end, but the many mini- star-turn performances and the recreation of Old Hollywood are perfection. Great historical background on the real Eddie Mannix! 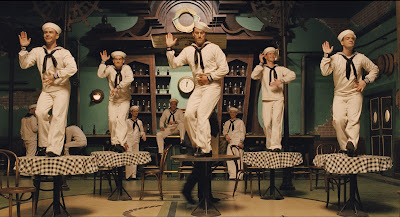 I am one of those who liked Hail Caesar! a lot. I don't rank it up there on the top but it was fascinating and quirky as the Coen's always are. I think they really captured the golden age of Hollywood, that is in a Coen Brothers kind of way. I was loving Hail, Caesar! for about 3/4 or more of the film and then it seemed to go sideways a bit, though not enough to seriously undermine my enjoyment. It was definitely fascinating and quirky - in every way. Brilliantly cast, too. I enjoyed your post very much Lady Eve. I saw Hail Caesar and was looking forward to the retro Hollywood studio allusions. I wasn't disapointed, and mostly enjoyed it although the communist plot was a bit overdone at the end.I recognized the Warner Bros. lot right away. A surprise came up while researching The Postman Always Rings Twice for a post coming up - Eddie Mannix bought the option for it for MGM in 1934, a couple of months after it was published! Thanks for covering this movie - to be taken with a big suspension of disbelief. I thought the same thing about the ending and the over-the-top communist plot, Christian. 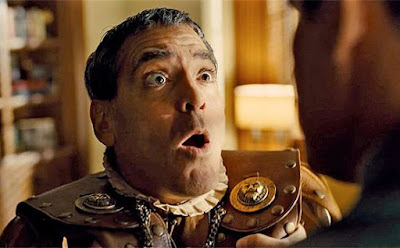 Most Coen bros. comedies require a good amount of suspension of disbelief, don't they? Eddie Mannix's reputation as a "fixer" has overshadowed the other, probably more important, aspects of his role at MGM, it seems.